Scallions go by several names such as: chives, spring onions, green onions. 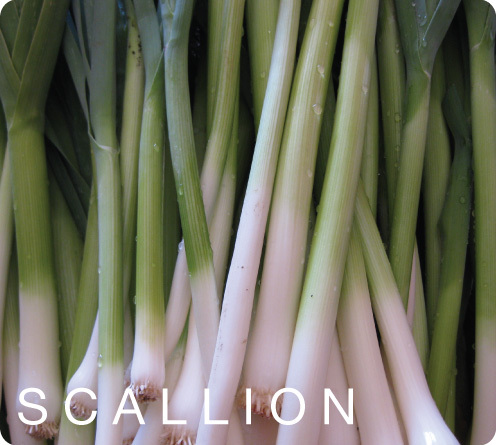 Scallions are generally used for adding flavor in dishes. As scallions belong to the Allium family, that of the onions, they are thought to help in: reducing cholesterol, decreasing cancer risks and heart diseases. Scallions contain fiber, low amount of calories and a just trace of fat. Scallions are a source of vitamin K, that plays a role in normal blood clotting; they are also a source of magnesium, which helps with muscle contraction, energy production and enzyme and protein activity; and of flavonoid, which appears to have antibacterial effects.